Hi everyone. In today’s installment of the Chambray Comfy Shirt, I get the muslin put together and get it ready to fit on the subject. 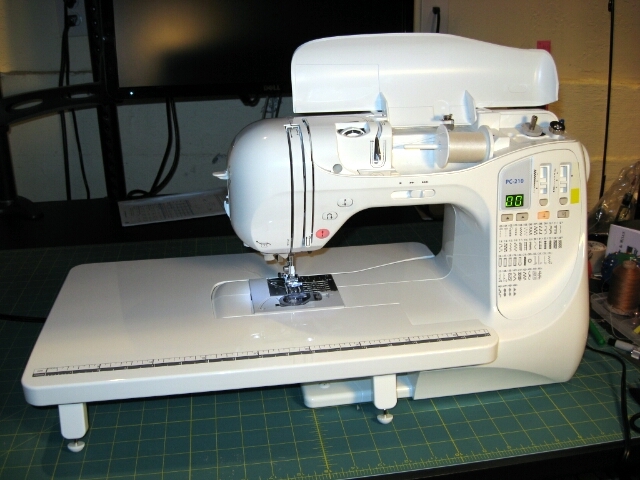 This project inaugurates a new sewing gadget. I purchased the Wide Table accessory for my sewing machine from Amazon.com. Judging from the Amazon reviews, this extension table seems to be popular with quilters, but maybe that’s because so many people quilt these days. This entry was posted in Pattern Fitting, Sewing Machines, Shirts and tagged kwik-sew-2000 on August 19, 2013 by mportuesisf. In the midst of all my work drama, this weekend opened up for me to work on some projects. I’m entering the PatternReview Men’s Challenge, from now through August 15. The plan is to make a men’s shirt for my partner, Jim. A few weeks ago, at Fabric Outlet’s 40% off sale, I found this cut of soft Chambray print that is very “him”. He has several shirts in his wardrobe that have a similar theme and vibe, and this was a a good excuse to make him a shirt. Plus, it is a chance to try out fitting techniques on someone other myself. 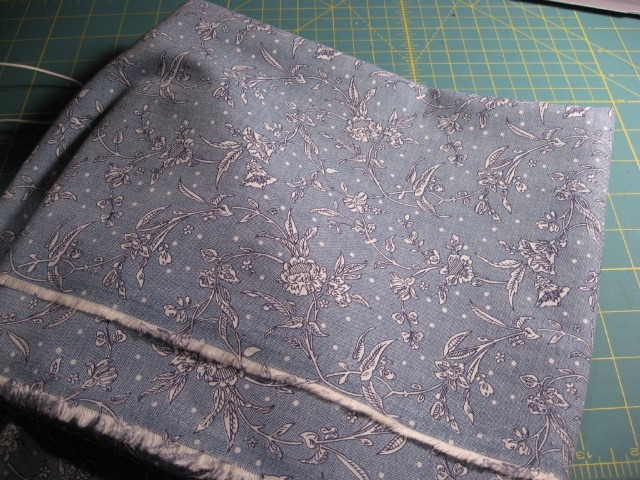 This entry was posted in Fabrics, Project Planning, Shirts, Wovens and tagged kwik-sew-2000 on August 5, 2013 by mportuesisf.